As an additional cost to play Soul Exchange, remove a creature you control from the game. Return target creature card from your graveyard to play. 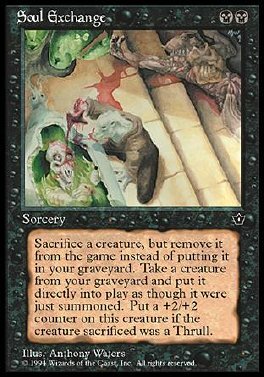 Put a +2/+2 counter on that creature if the removed creature was a Thrull.